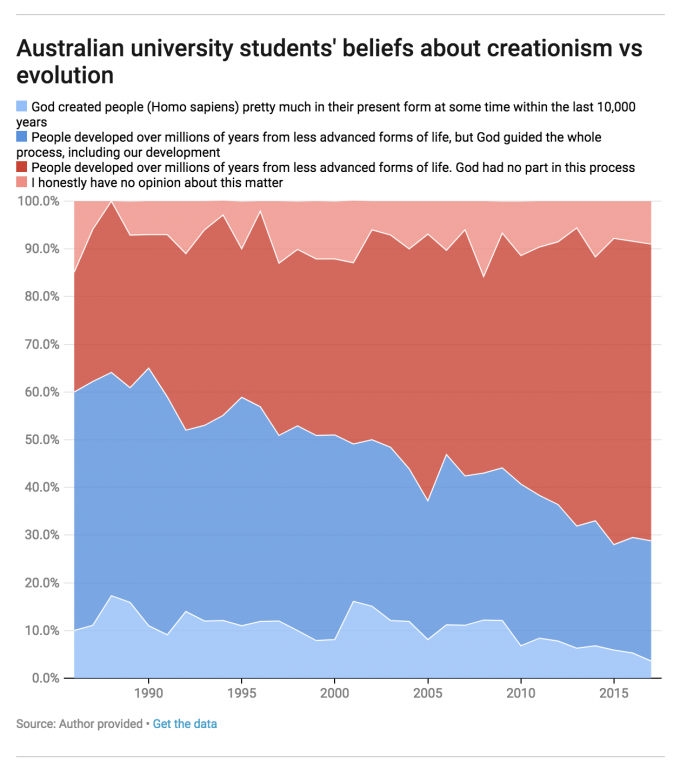 For the past 23 years, the first year biology students at the University of New South Wales have been polled annually concerning their views about evolution and creationism. From 1986 to 2017, every student attending first-year biology course was invited to complete a one item poll on a strictly anonymous basis. 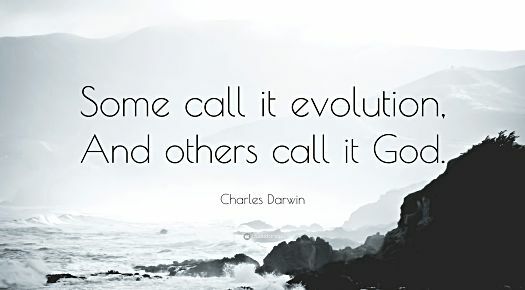 Creationism is the religious belief that the universe and life originated "from specific acts of divine creation" as opposed to the scientific conclusion that they came about through natural processes. 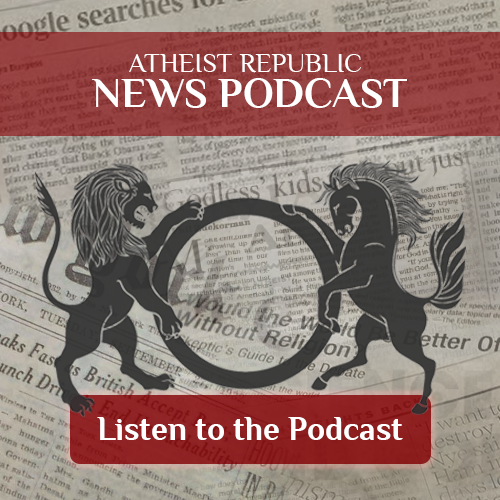 Creationism covers a spectrum of views including evolutionary creationism, a theological variant of theistic evolution which asserts that both evolutionary science and a belief in creation are true, but the term is commonly used for literal creationists who reject various aspects of science, and instead promote pseudoscientific beliefs. 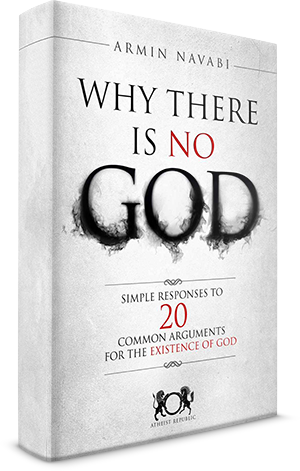 According to the survey, belief among students that God is the ultimate or contributing cause of human origins has steeply declined. It was a majority view in 1986, and now a minority view in 2017. In 1986, the majority (60%) of New South Wales’ students believed God had something to do with the origin of humans. In 2017, this view was embraced by only a small minority (29%) of the class, a decrease of about 50% over the 32 year interval. 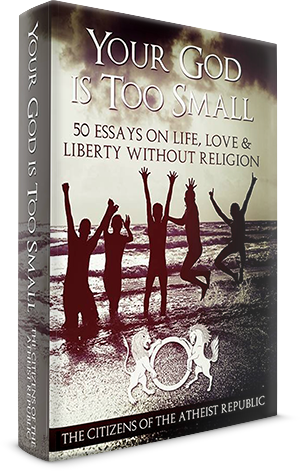 The percentage of students convinced that God had nothing to do with the origin of humans increased from a small minority (25%) in 1986 to the clear majority view (62%) in 2017. Professor Michael Archer, the lead author of a team of scientists who conducted and interpreted the results of this survey, explains: “A key factor cited by many, which may be contributing to the long-term shift away from theistic views of human origins, include increasing access to a massive amount of web-based and media-presented scientific understanding about the origin of the natural world. Before this was available, cultural, community and parental values may well have been the most influential factors in forming student opinions about supernatural versus natural origins.